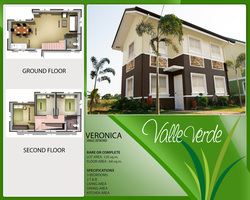 Valle Verde is a housing project designed to provide affordable townhouse and single detached units to anyone who wants to own a house and lot but find it hard to look for an affordable, durable and easy to acquire house. Just a few hours from the busy environment of Metro Manila is Valle Verde, Axeia’s vision of a green and peaceful residential haven turned into reality. Valle Verde, which literally means “green valley”, represents a hub of beautiful homes strategically located close to nature. It is one of Axeia Development Corporation’s projects, which continually offers durable and affordable homes inclusive of amenities and features. 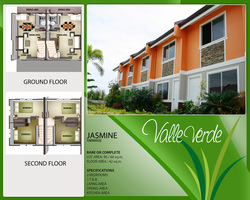 Make Valle Verde your choice for your perfect home. It is just beside Monterey and a few meters away from FCIE, making it a walk-away from workplace if you are working in FCIE so less time travel and definitely no traffic. From Lawton, take Starliner bus going to Dasma. From Buendia, Ayala, Makati, take ERJohn bus going to Dasma or Tagaytay. From Coastal Mall, Baclaran, take ERJohn, San Agustin or other aircon or mini buses going to Silang, Dasma, Indang, or Tagaytay. From Ortigas, EDSA, take Jasper bus going to Dasma. Reserve the unit by paying the reservation fee so that other buyers will not avail your chose unit (First come first serve basis). Accomplish the documentary requirements and submit for processing especially if you acquire through a housing loan. Please see requirements needed upon reservation. NOTE: Complete and on-time submission of requirements will expedite processing. Incomplete documents will delay processing.